The latest series of Power Rangers is Power Rangers Dino Charge and the first episode will air on POP on Monday 31st August. In Dino Charge the Power Rangers have to protect the Earth from intergalactic bounty hunters searching for the ancient Energems that were left in the care of dinosaurs. When an asteriod wiped out the dinosaurs the Energems were lost, and it's up to the Power Rangers to find them first. 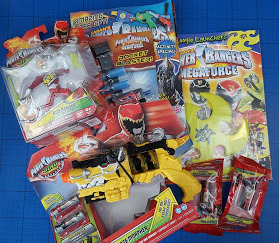 We've been sent some of the new Dino Charge toys to review. 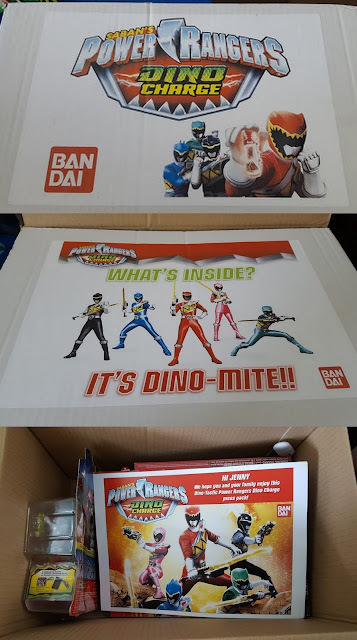 Bandai sure know how to make a parcel look exciting - and although I knew they were sending us Power Ranger Dino Charge Toys to test, I couldn't help but be excited myself when I saw the box....I wasn't quite as excited as my 2 young boys though when they saw it! There are various toys in the range, including the Power Rangers figures themselves and the full sized weapons. We were sent the Deluxe Dino Charge Morpher with a couple of extra Dino Chargers, a Red Power Ranger action figure, and 2 of the Power Rangers Megaforce Magazines. 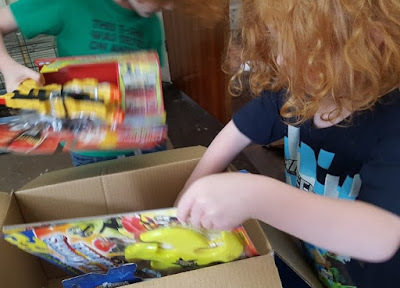 The Deluxe Dino Charge Morpher is the main item in the range and the thing my boys were most excited by. Gun-shaped and really sturdy, this is a battery-powered morpher which has flashing lights and a large range of varying sounds when you insert different Dino Chargers. The Morpher is easy to use and my 5 year old had no problem working it out for himself. 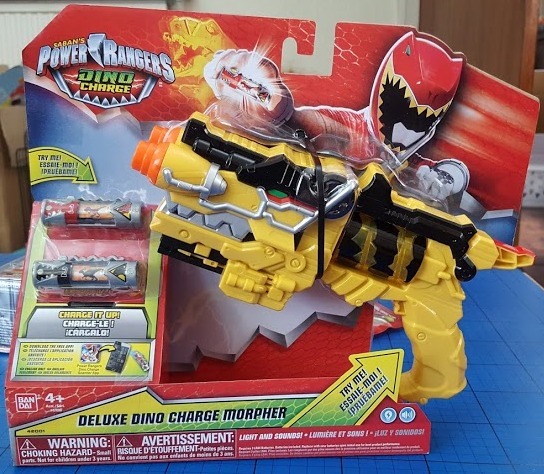 Press down the switch at the back and slot the Dino Charger into the Morpher. 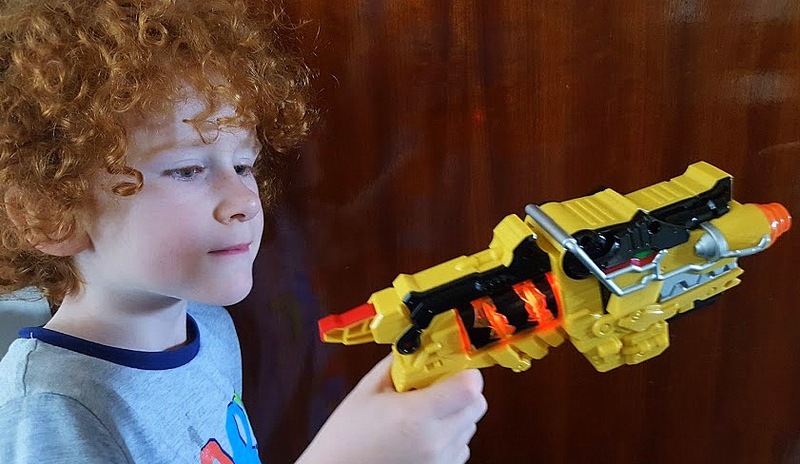 Spin the rear barrel and press the trigger and unleash the power of your dinosaur! This is pretty much the kind of toy that every boisterous 4-8 year old wants, and my youngest son especially plays with it a lot. He really likes that the different Dino Chargers have a different associated dinosaur with different sounds, and the Morpher has enough buttons and moving parts to please any small child who has a need to be fiddling with something all of the time. 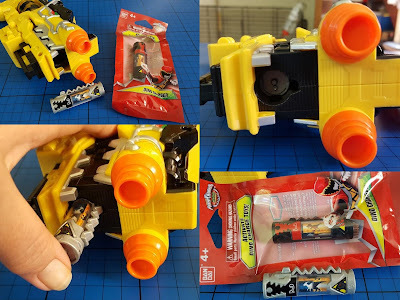 The Dino Chargers can also be used with an app. on your smartphone or tablet to morph into Rangers and then you can play and battle the villains. 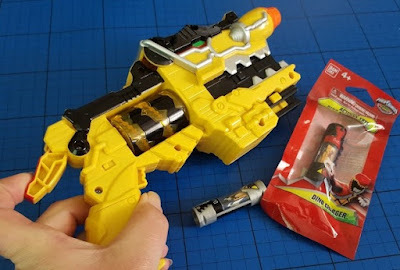 There are different Dino Chargers to collect, available separately or in packs with the other Dino Charge toys (which they also activate) including the Battle Gear and toys in the Zord Builder collection. We have also been sent the Red Ranger Action Hero figure. He comes with his own Morpher and Dino Saber and stands 12.5cm tall. Unusually for an age 4+ figure of this size, the model has a very impressive 13 points of articulation. 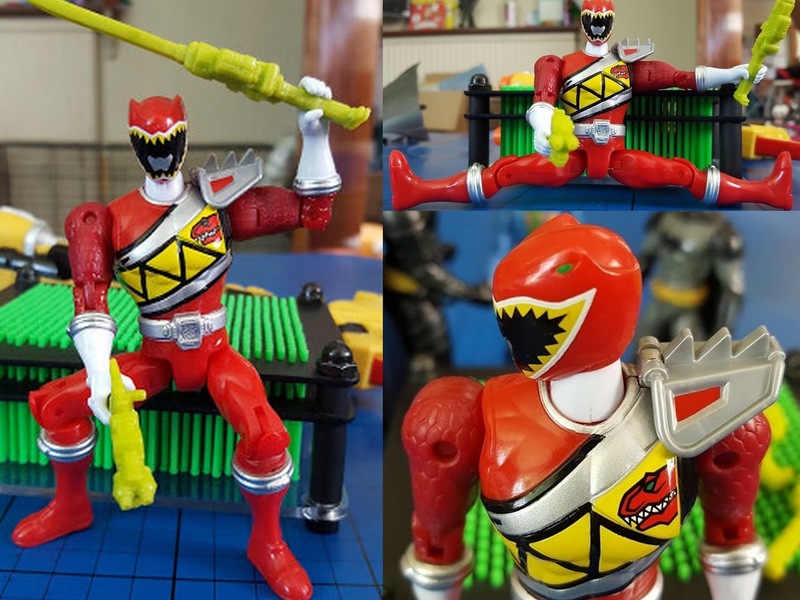 We were delighted with the range of poses we could achieve when we reviewed the Bandai Sprukits, and it's great to see similar care has been taken over this figure. Although he isn't as poseable as our Sprukit Level 2 Batman, for £9.99 any Power Rangers fan will get a well-balanced figure that stands without support easily and can really be played with. 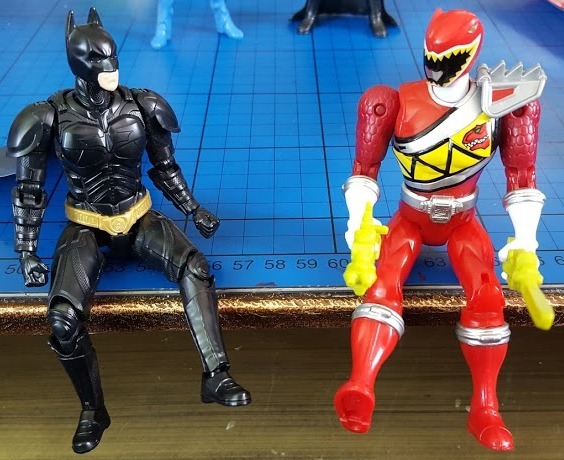 The poseability does add character to your Power Ranger, and means he can travel in any suitably sized vehicles, and do all the usual Power Ranger stuff - including some incredible ninja leaps! 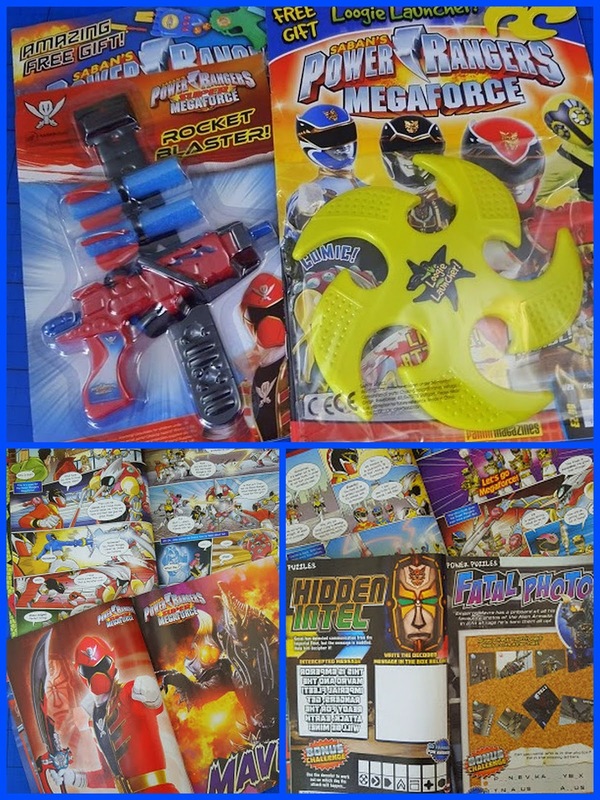 Before I end I must mention the Power Rangers Super Mega Force magazines. 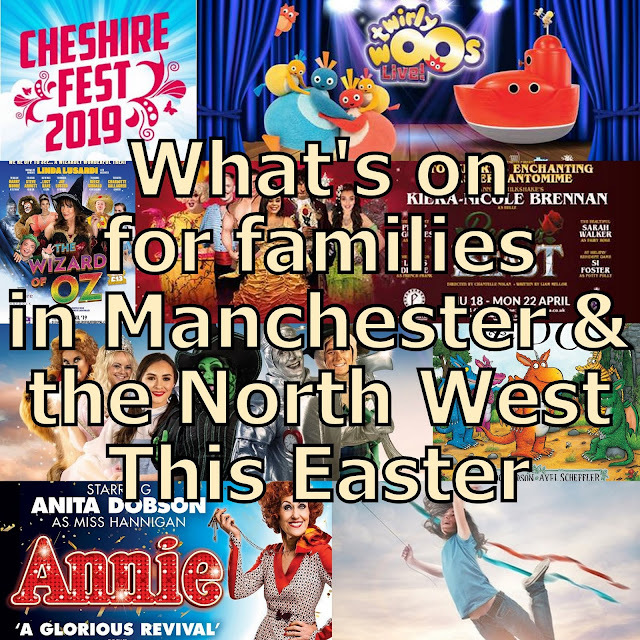 These are really very good, with craft activities and puzzles and obviously some comic book stories. 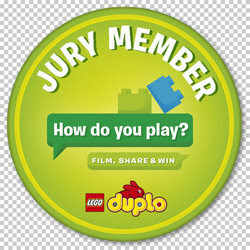 Each edition also has a free gift plastic toy gift, which are well made and nice quality. There's a lot to keep a youngster happy for several hours. 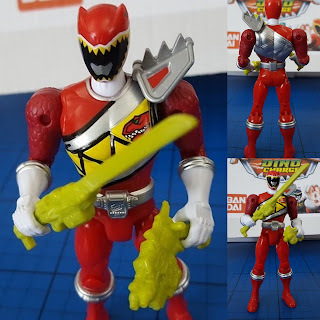 Bandai Power Rangers Dino Charge toys have a recommended age of around 4-10 and are available now from all good toy shops. 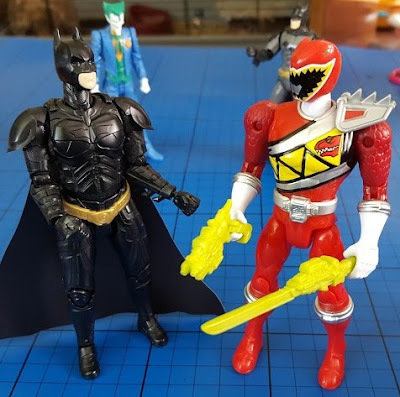 My 5 year old especially loves the Dino Chargers, and my 6 year old is keener on the action figure. They're very true to the TV show, and have withstood my boys rough play for the last 4 weeks, so sturdiness and battery life are good. 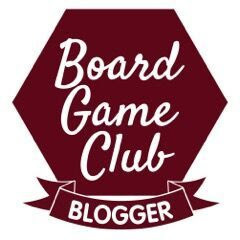 The Red Ranger has an rrp of £9.99, and the Dino Charge Morpher £29.99. 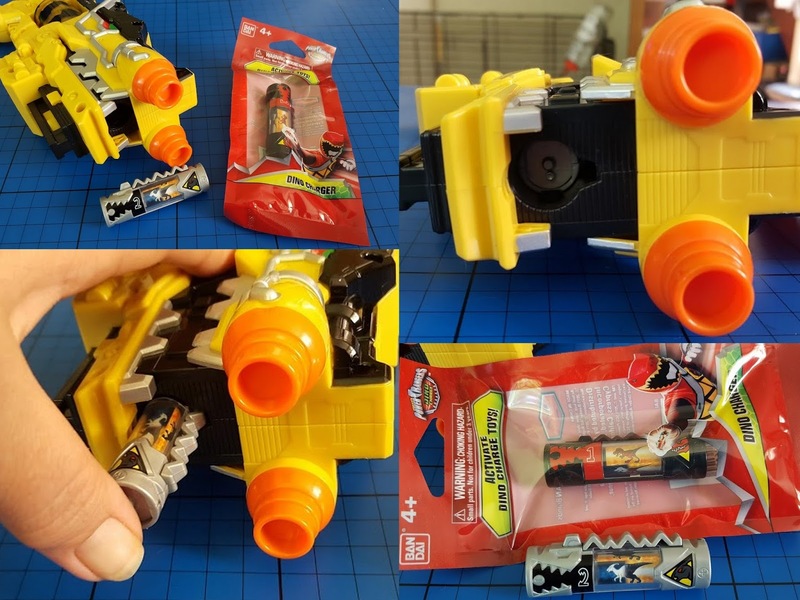 Extra Dino Chargers are available for around £8 per pack of two with a Dino Zord. The Power Rangers Super Mega Force magazines are published by Panini Magazines, and available quarterly from newsagents priced £3.99. What a fab parcel to receive! 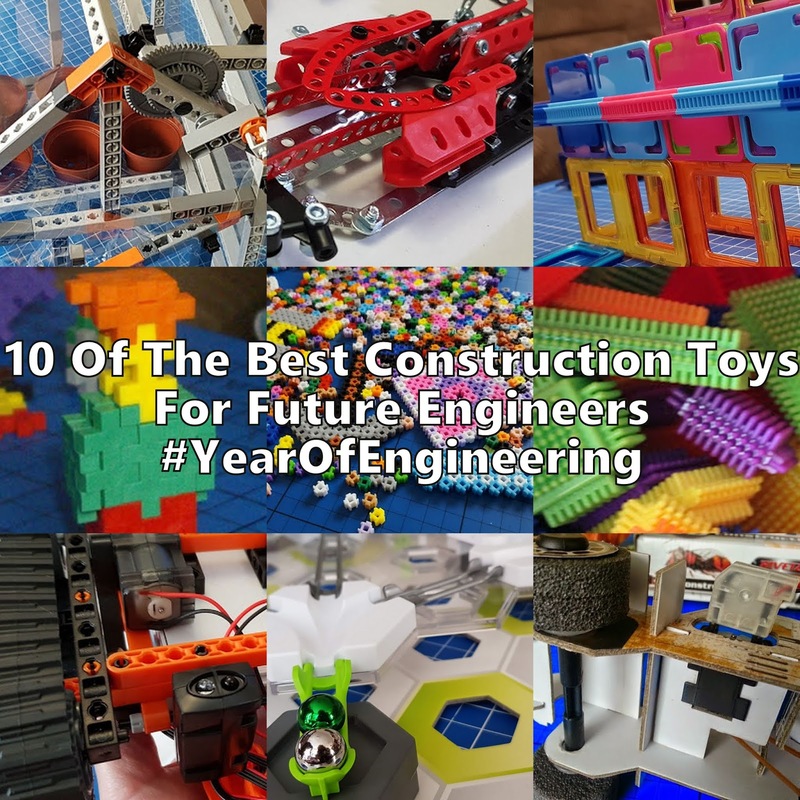 Looks like some fab toys there that I know my son would love too!